Even passionate cooks often dislike the part where you have to clean up after cooking. The dirty countertops, the sink full of dirty dishes, and the soiled pots and pans can be a real deterrent to cooking. Yet, you want to make homemade meals so you and your family can eat healthy. What’s a lovely home cook to do? What if I told you that there are ways to enjoy cooking at home in your kitchen without having to deal with a ton of cleanup? You can cut your cleanup time in half with these kitchen tricks. I wish I could say that I thought of these ideas all by myself, but that’s not so. Hundreds or even thousands of years ago, people cooked using a variety of creative means that didn’t entail the use of pots and pans. Cuisinart wasn’t even invented yet, so they had to make do. These recipes are a blending of old ideas with new ones. Thanks in advance to the talented chefs who shared these techniques. Here are our favorites recipes for cooking without cleanup. If you’ve been tempted to buy those cellophane-wrapped baked potatoes at the supermarket that are supposedly microwave-ready, don’t bother. You’ll pay a premium price for something you don’t even need. First of all, if you want to bake a potato in your microwave, you can cover it with regular plastic wrap—there’s no “special” microwave wrap. But this method that I’m going to tell you about is much better than any microwaved baked potato, anyway. Preheat your oven to 400. Line a baking sheet with parchment paper. Place one or more washed and dried potatoes on the paper, and bake for approximately one hour. When the potato is done, you’ll be able to easily insert a knife. Take it out, and while it’s still warm, slam it down on your kitchen counter (go ahead—it feels good!) to break up the insides and flatten the bottom. Serve with fixings of your choice, such as: chopped chives, sour cream, butter, bacon bits, shredded cheddar cheese or salsa. You can sometimes find whole chickens on sale for 99 cents a pound at supermarkets. But you may regretfully pass up this bargain because you know that roasting a chicken can be a bit of an ordeal, and you just don’t have time for the rigamarole of getting out your chicken roasting pan and basting the bird. If so, this recipe is going to change your life. You can also use this recipe with Cornish game hens and small whole turkeys in place of chicken. Put all the ingredients (except the bird) in a coffee mug (or paper cup if you want zero dirty dishes) and stir thoroughly with a spoon. Tear off about an 18-inch sheet of parchment paper. Wrap up the chicken in the parchment paper, folding the paper according to the method on the box. Place the wrapped bird in a paper bag, and fold that closed, too. Now wrap the whole shebang in aluminum foil. Place the package in the oven and bake for about an hour and 15 minutes. 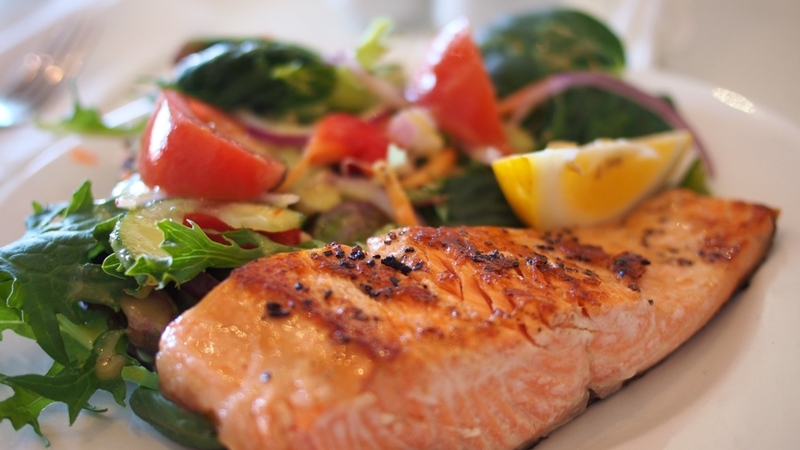 Salmon has so many health benefits that it’s a shame to skip this dish just because it’s a pain to cook. Home cooks often complain that it sticks to the bottom of the skillet, and that the fishy smell permeates the house. Not any more. This simple recipe will have you eating fish at least three times a week. Now, this recipe uses pesto, but if you dislike pesto for some reason, or you want to change things up, you can substitute garlic butter, or another sauce you prefer. By the way, you can buy small jars of pre-made pesto that aren’t half bad at most large supermarkets. Coat the salmon with the cooking oil. Tear off a sheet of aluminum foil large enough to encase the filet. Lay the salmon on top of the foil. Drizzle the lemon juice on the salmon. Spoon the pesto sauce on the salmon. Fold and seal the foil around the salmon. Place the bundle on a baking tray and cook for 15 minutes. These are three recipes that you can make with hardly any cleanup at all. What are some ways that you try to avoid cleanup in the kitchen? Let us know your favorite cooking without cleanup methods in the comments below.